Maybe so, but Emanuel hasn't met with the Salvation Army, and he doesn't regularly hold face-to-face meetings with social service organizations, community groups, or neighborhood activist types. To be fair, Emanuel does meet with multimillionaires who have not donated to his campaign. 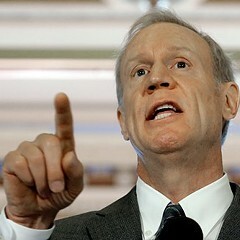 On June 22, for example, he met for a half hour in his office with his old friend Bruce Rauner, a venture capitalist and charter school advocate. Rauner has not donated to Emanuel's mayoral fund, but his wife, Diana, served on Emanuel's education transitional team. 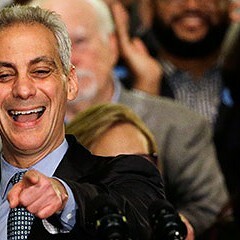 Still, Emanuel doesn't just meet with the rich—he also meets with political operators, many with little direct connection to Chicago. On June 27 he had breakfast with New Hampshire senator Jeanne Shaheen at the Four Seasons Hotel—just in case he wants to run in a New Hampshire presidential primary sometime. 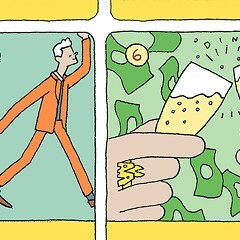 Incidentally, the Four Seasons is apparently one of his favorite breakfast joints—that's where he met Kenneth Tuchman, a former investment banking colleague, on July 27. Don't tell Shaheen, but Tuchman got ten more minutes of Emanuel's time than she did. On July 18 Emanuel met in his office with John Podesta, a big-time Democratic operative since his days in the Clinton White House. 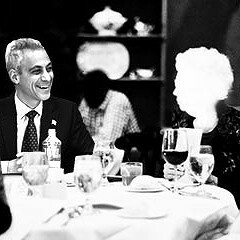 And speaking of Clinton—on June 29 Emanuel got together with the big poobah himself. The mayor has also kept lines open with former colleagues in the Obama administration. 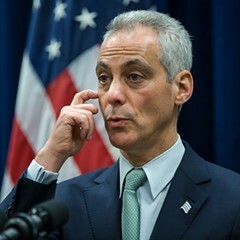 For instance, in June and July he had more scheduled chats (two) with Kathleen Sebelius, the U.S. secretary of health and human services, than with Chicago health department commissioner Bechara Choucair (one)—even as Emanuel was preparing a budget that would close all seven of the city's health clinics and half of its 12 mental health facilities. In between networking with donors and national political operatives, Emanuel does make some time for locals. Before every City Council meeting, he sits down for a "pre-meeting" with council leaders: finance chair Ed Burke; housing chair Ray Suarez; council president pro tempore Michelle Harris; budget committee chair Carrie Austin; and mayoral floor leader Patrick O'Connor. All have been reliable mayoral supporters. 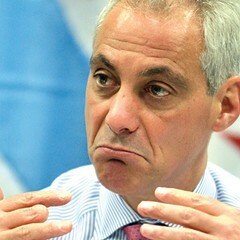 Emanuel also manages to squeeze in a minute or two for the council's self-declared independents. Twenty-second Ward alderman Rick Munoz, for example, got a 30-minute meeting in the mayor's office on July 18. "We're talking," Munoz says of Emanuel. "We text each other too." Whatever time he's giving the aldermen seems to be working. So far, the City Council has been even more compliant under Emanuel than it was under Daley—a total of four dissenting votes were cast in the mayor's first 100 days, a dissension rate of about 0.1 percent.